Home / -Touring- / Killer Queen / Queen / Touring / Killer Queen Bringing the Queen Experience Back to the U.S.
Killer Queen Bringing the Queen Experience Back to the U.S. The premier Queen tribute band, Killer Queen, will be bringing their must-see live show to the United Sates for a month’s worth of dates this summer. 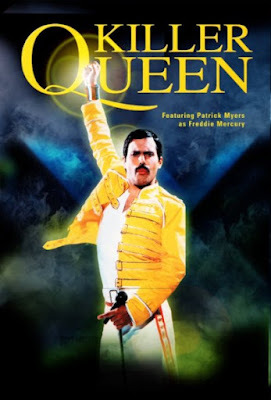 Singer Patrick Myers is an absolute dead ringer for the legendary Freddie Mercury (both visually and vocally), resulting in a live concert experience that is second only to catching an ‘80s era Queen performance. Formed back in June of 1993, Killer Queen quickly became incredibly popular in their native England - resulting in a residency at London’s Strand Theatre, winning “Worldwide Best Tribute Band” at an awards ceremony in Leicester Square, and performing stadium shows - including being selected to represent Queen in a re-staged tribute Live Aid concert held by Sir Bob Geldof. And from June 29 through July 31, Killer Queen will be rocking the states, including a triumphant return performance at one of the world’s most gorgeous outdoor venues, Red Rocks in Denver - on the same stage that the Beatles, U2, Springsteen, Dylan, and Pearl Jam have all performed on. Our 2017 interview with Patrick Myers of Killer Queen.